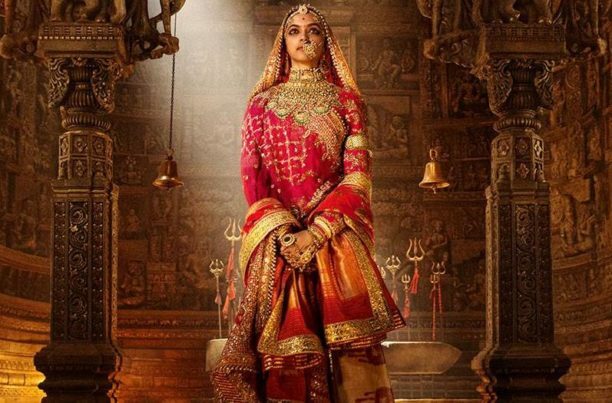 Sanjay Leela Bhansali’s Padmaavat is garnering rave reviews and hitting high marks at the box office the world over. 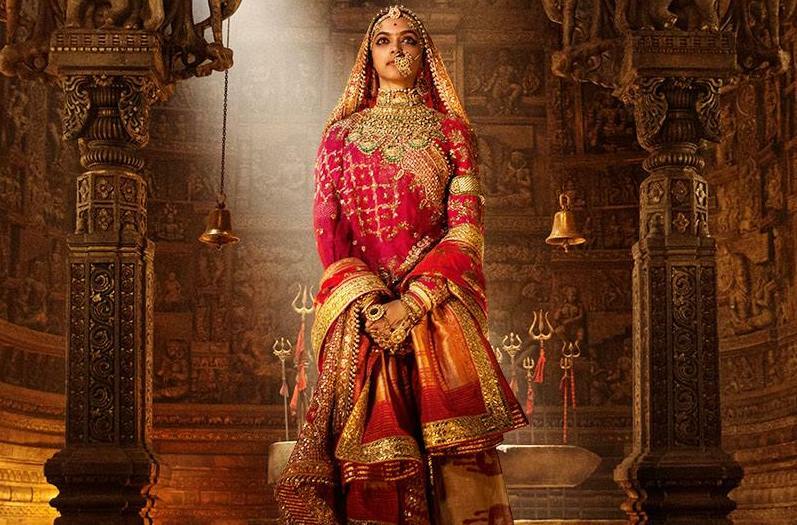 Starring Deepika Padukone, Shahid Kapoor and Ranveer Singh, the film set in 1303 AD, is the story of honor, valor and obsession. Queen Padmavati is known for her exceptional beauty along with a strong sense of justice and is the wife of Maharawal Ratan Singh (Shahid Kapoor) and pride of the Kingdom of Chittor, a prosperous kingdom in the north west of India. The legend of her beauty reaches the reigning sultan of Hindustan – Allaudin Khilji (Ranveer Singh). The sultan who is a tyrant, is fixated with wanting anything that is of exceptional beauty for himself. He lays siege on the impregnable fortress of Chittorgarh. After a grueling 6 months, he returns empty handed. He becomes obsessed and now wants to capture Chittor and its Queen at any cost. He returns with a bigger army and raging fury. He attacks Chittor with brutal force and a bloody and fearsome battle takes places between the righteous Maharawal Ratan Singh defending his kingdom and the honor of his queen and Sultan Allaudin Khilji. Khilji manages to breach the fortress but in vain as the Queen chooses to make the ultimate sacrifice to protect her dignity. Deepika Padukone talked with Stacey about playing Queen Padmavati in the epic film. Although very short on time, her answers were so open and rich with insights and emotion. What were your first thoughts when Mr. Bhansali approached you for this film? Two very, very different thoughts. First, privileged to be working with him for the third time around. And two, I think this story needs to be told. 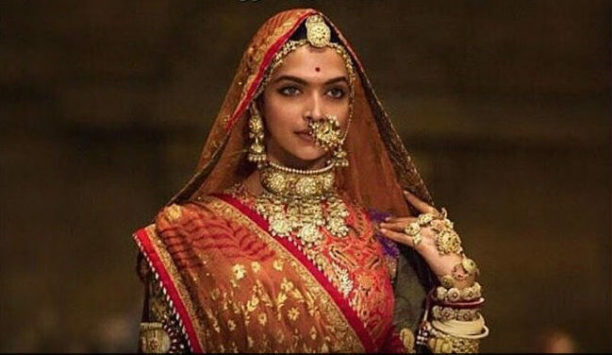 How would you describe Queen Padmavati? Legend has it that she was the most beautiful woman in the world and that is what the invaders kept their eyes on and wanted to conquer it. But for me, her beauty was beyond her physical beauty. The more I read up, I realized her beauty lies in her inner strength, in her power, in her conviction, in her intelligence, in her vulnerability, in all of these factors that I feel like all of us women have. We have all been conditioned to think of beauty a certain way over years and generations. I think beauty is so much more than just what meets the eye. It is all the attributes, the qualities, what she stands for; I think all of that makes a woman beautiful. How did you prepare and get yourself into playing this character with all those aspects and having to show this through your eyes, your lines, your actions and your everything? Well, if any woman read this script she would relate to it because I think every woman has these attributes and these qualities. Some may be more pronounced than the other, some might be aware of what they believe in and stand for, some may not be, but every woman has these qualities. At this human level I find it’s very, very relatable. So preparation for me was really more of a mental and emotional preparation because of the journey this film takes you on and because of the amount of energy this film was going to take from us and took from us. Then, of course, the physical preparation like the Ghoomar song and the dance and that kind of stuff, but largely it was more just mental preparation. Once it was all done, did you have trouble letting her go? I think when you have lived with a character for a year or more it doesn’t leave the system that easily – so it will take awhile. 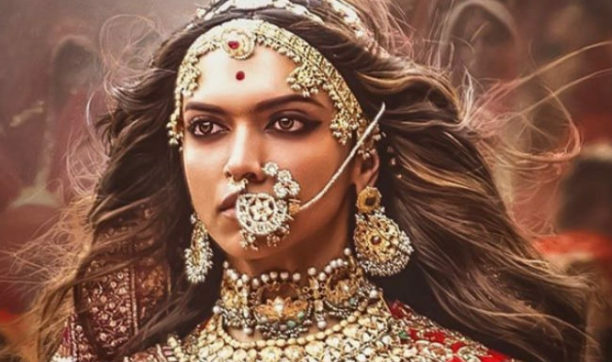 Mr. Bhansali is, of course, known for his epic sets and costumes, and just the gorgeousness of the colours he paints his film with; what is it like to walk on to a set of his and be taken back to the time of the film? You know, the experience is the fact that we are transported back. In fact, the lines – they are very blurred after a point because you surrender to that world so early on that actually the current world seems like a hindrance. There are moments when it is just easier being on set all the time. There were times when I would ask him if I could just stay in my vanity van that is just parked outside the floor because it was just easier to remain in that world without having to break and come back to reality and then start the process all over again. Then there were moments when I would actually make use of that moment, actually step away from there and come home and take a break from that world and then go back refreshed again in the morning. It really is a tough process to be able to do and to carry that for so many months. It is exhausting! What do you think Mr. Bhansali brings out in you as an actress? So much! So, so much! I feel like he taps into places that you are not aware of yourself. He has enriched me so much as an actor creatively and as a human being. In the years we have worked together he has added so much value to me and has enriched me in so many ways. This is your first time starring opposite Shahid Kapoor; what was it like to work with him? It was amazing. There was so much comfort it didn’t feel like our first film. We have known each other for so many years. There was always talk about us working together. Fans wanted us to come together but I always believe it happens when it needs to happen. I think Padmaavat was it finally. I think he was perfect for the part. He added a lot of value to the role that he is playing. I couldn’t have asked for a better film for us to come together. I have wondered what is your process for the songs and do you sing out loud when you are doing it? Yes, because you know I don’t imagine that I am not singing or that I am singing over someone else, the way to do it is to believe you are actually in that moment and that you are singing. It has been 10 years since your first film, did you imagine that your career would be this from Om Shanti Om until now? Yes and no, to be honest. You know, at one level I had absolutely no idea what to expect and I kind of just went with the flow, but on the other hand everything that I am today is what I have created based on my experience on a film set and what I put into it. There has been amazing people along the way who believed in my vision and came with me on this journey. But you know it hasn’t been easy and everything I have created I have worked hard to get where I am. So again yes and no. It is not like it has happened over night and it is not like it has fallen in my lap. Do you have a message to your fans about their support for you? That they are my strength. They have been absolutely incredible. They celebrate the good times with me. They have always been my strength through everything in good and bad. I recognize that and I appreciate that. Thank you so much for that. Padmaavat is in theaters now and has expanded to even more theaters in North America so be sure to check it out! 15 queries in 0.494 seconds.